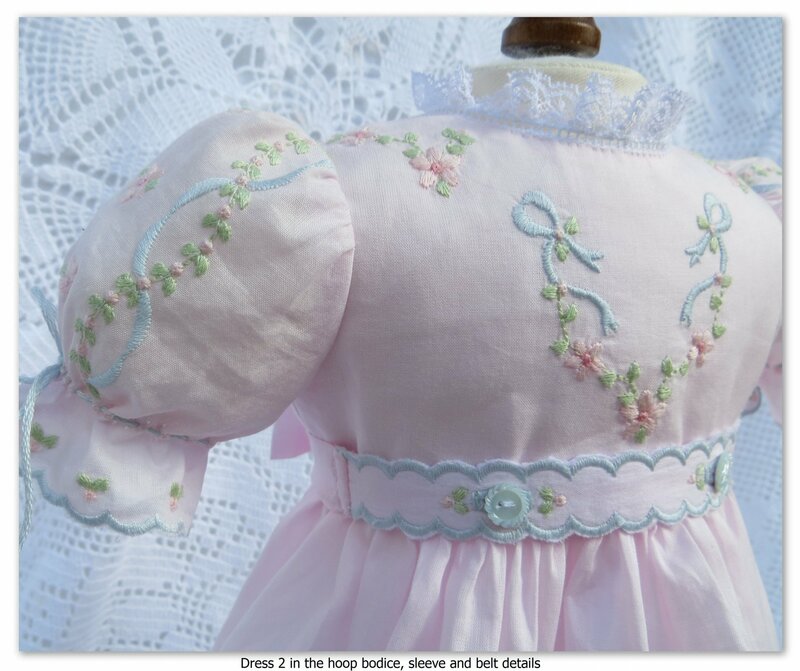 There are 6 different doll dresses for 18" dolls, each ready to STITCH IN THE HOOP! 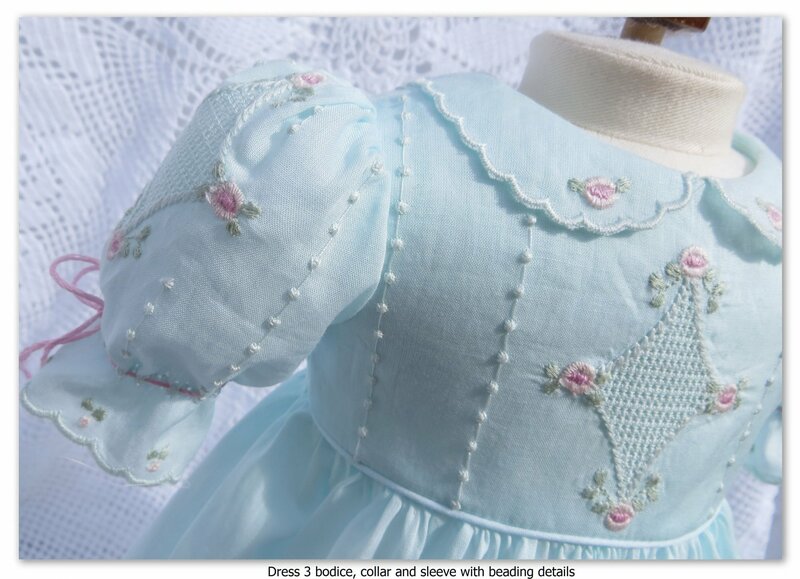 Click on any photo to make it larger, then use the left and right arrow keys to navigate! 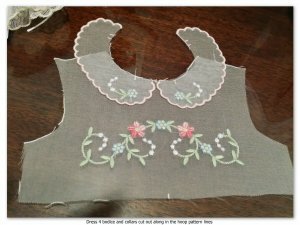 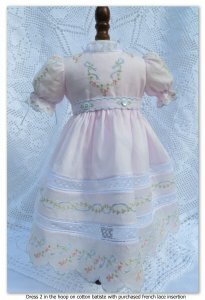 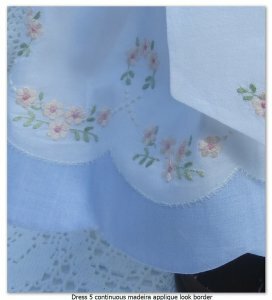 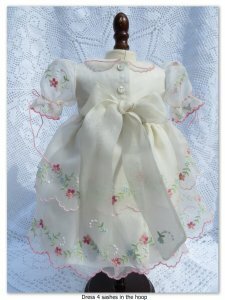 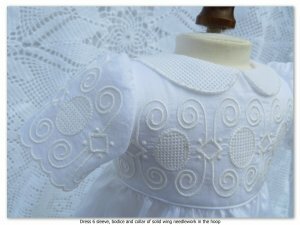 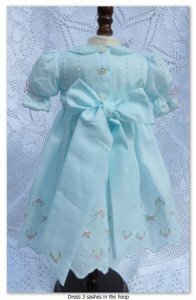 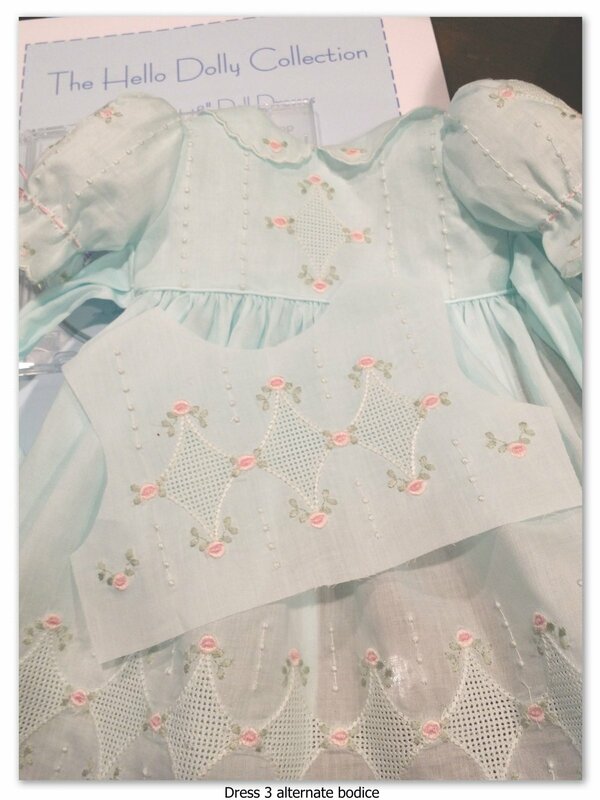 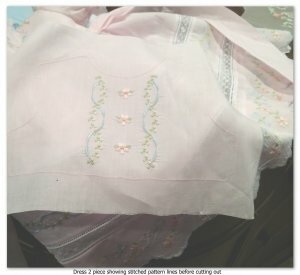 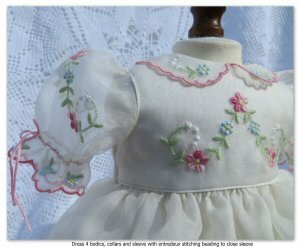 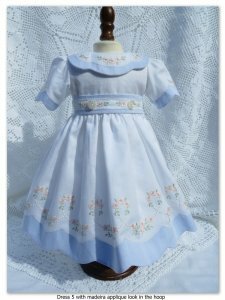 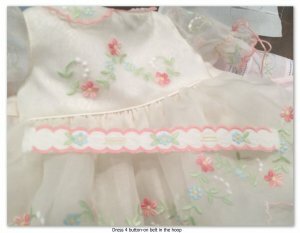 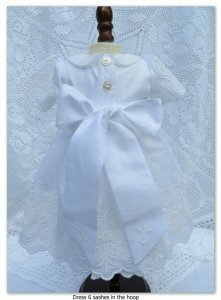 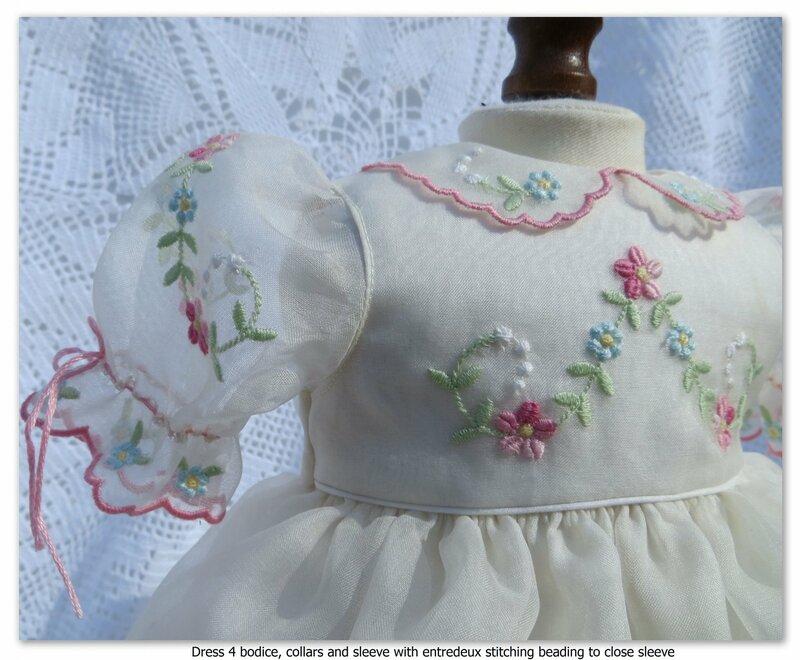 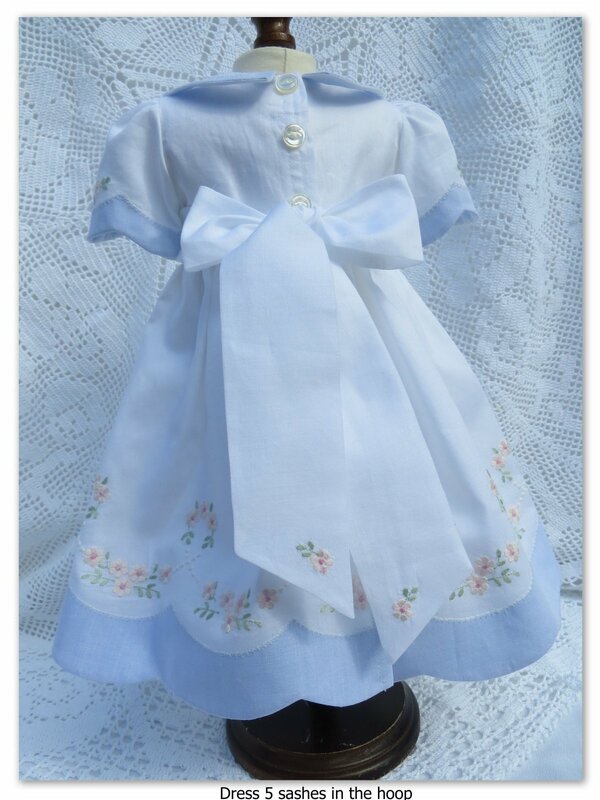 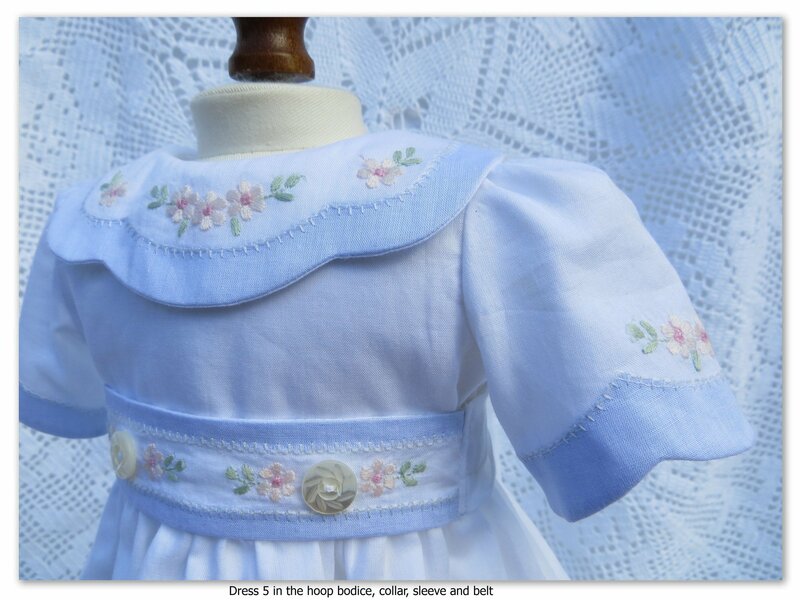 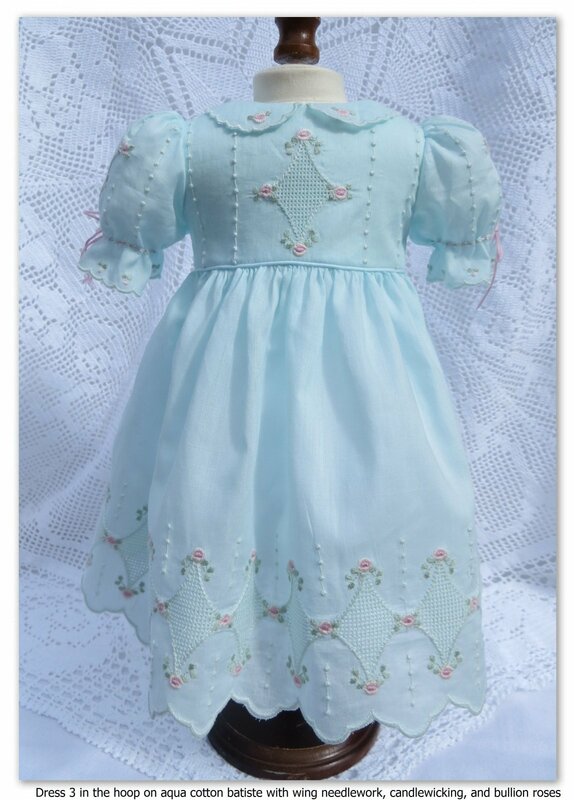 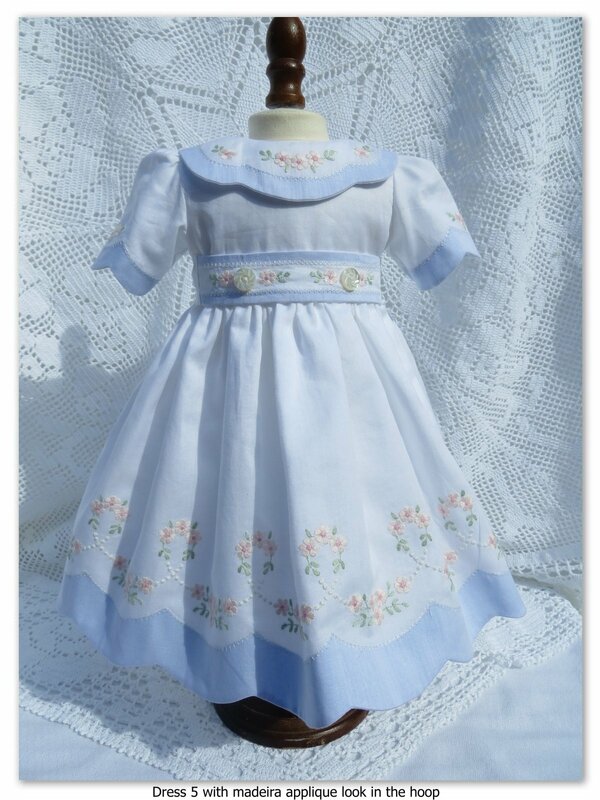 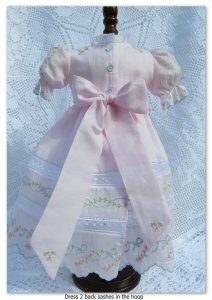 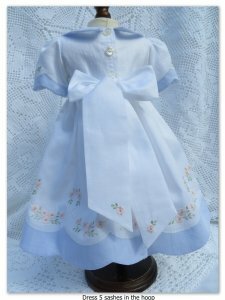 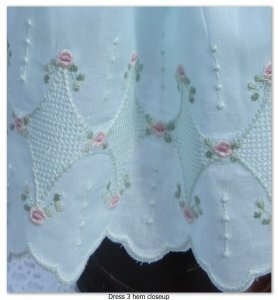 Each yoke, sleeve, collar, belt and sash on these 6 unique doll dresses is ready to stitch in the hoop with the embellishments perfectly placed inside the pattern lines, ready to cut out and sew together. 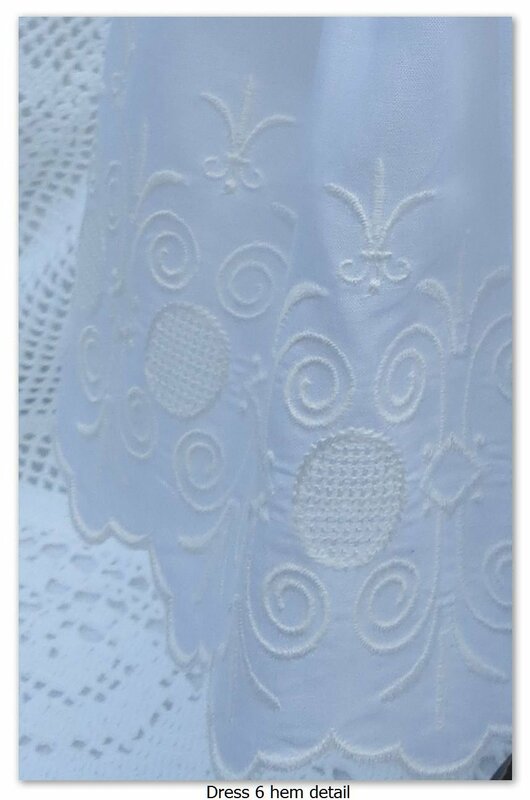 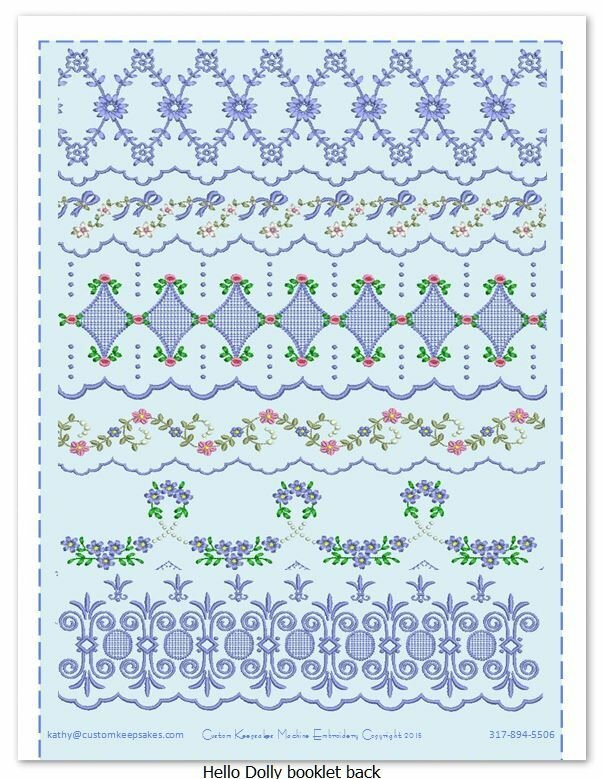 6 matching edging designs are included, as well as alternate edgings, collars, yokes, and sleeves. 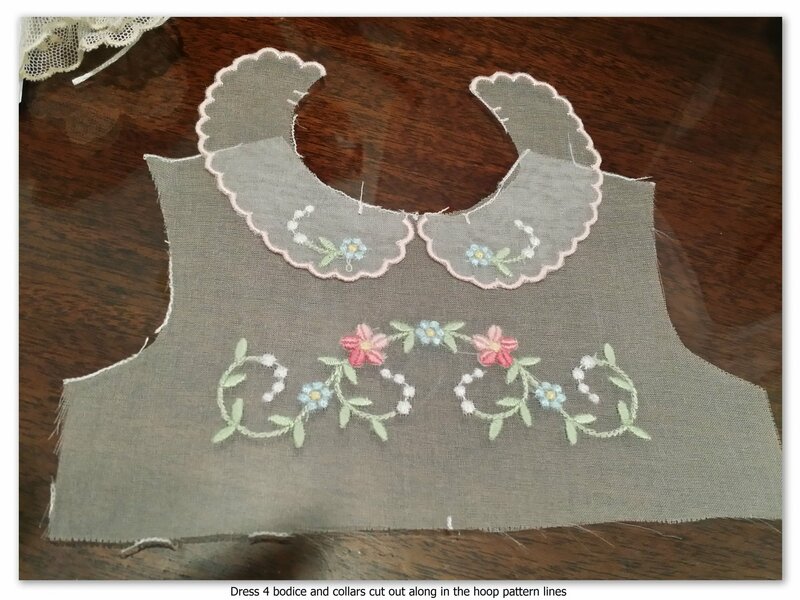 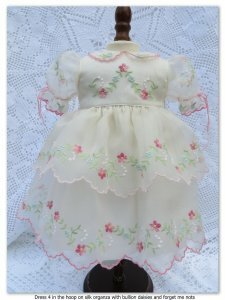 The paper pattern is not required to make the dresses but it is included in the 22 page bound instruction book that comes with this adorable Collection. 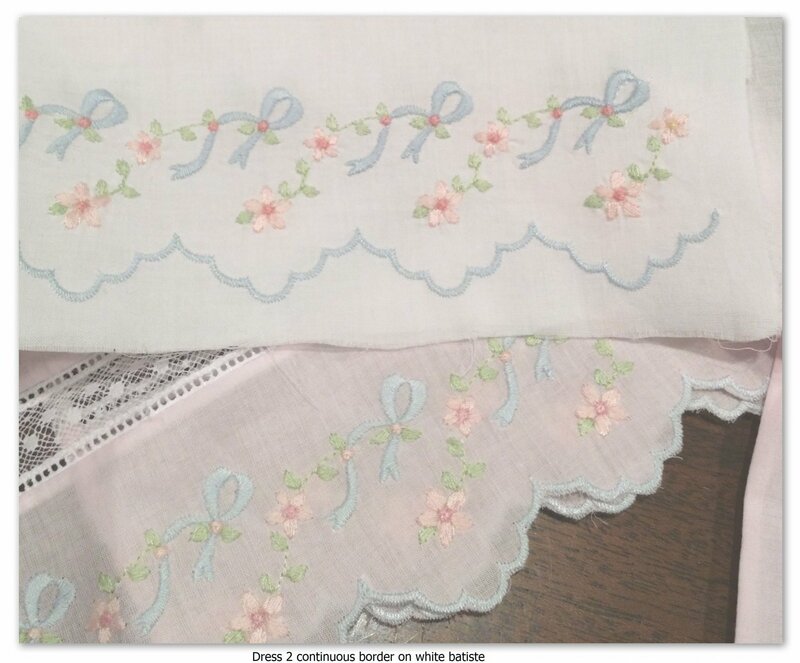 The book gives very detailed instructions for each embroidery color stop, and a very general construction sequence. 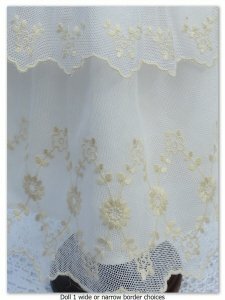 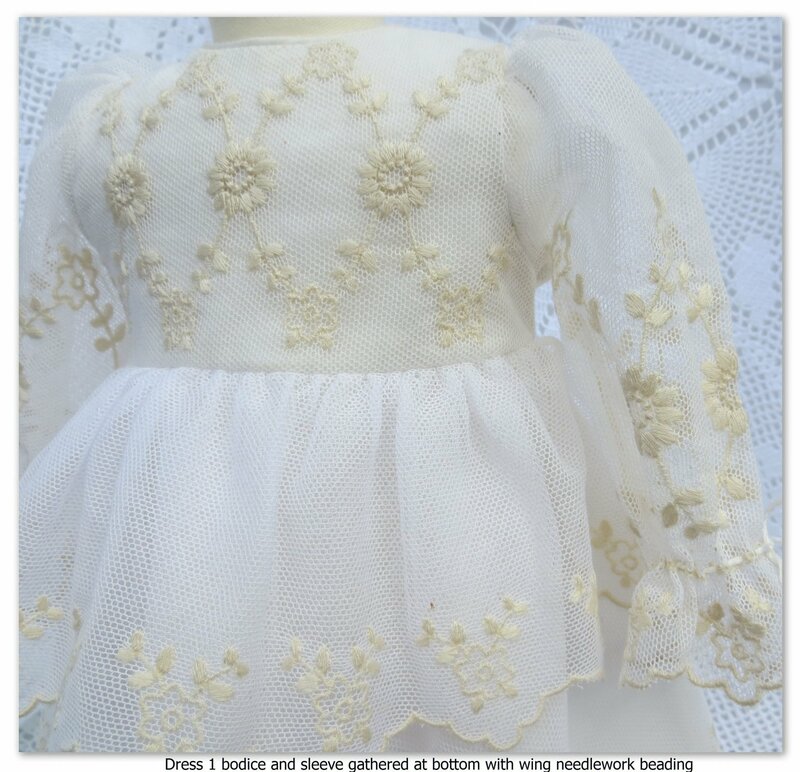 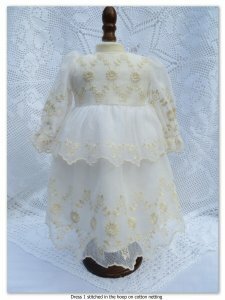 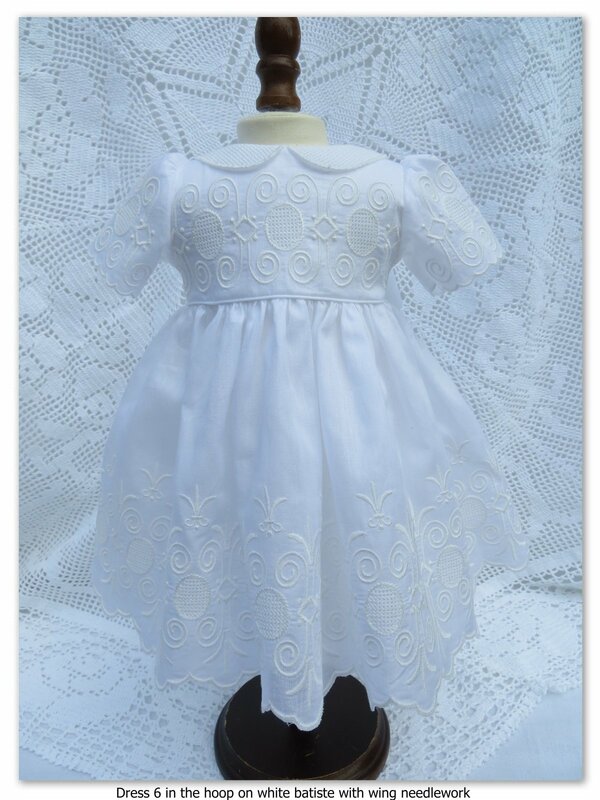 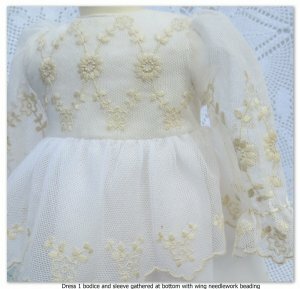 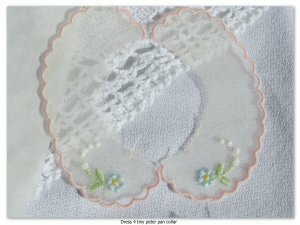 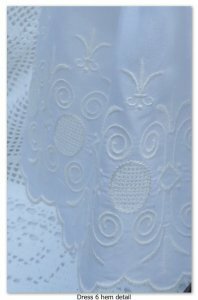 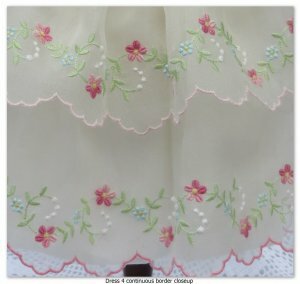 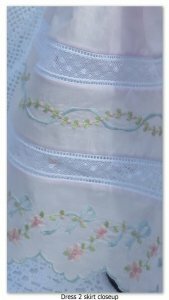 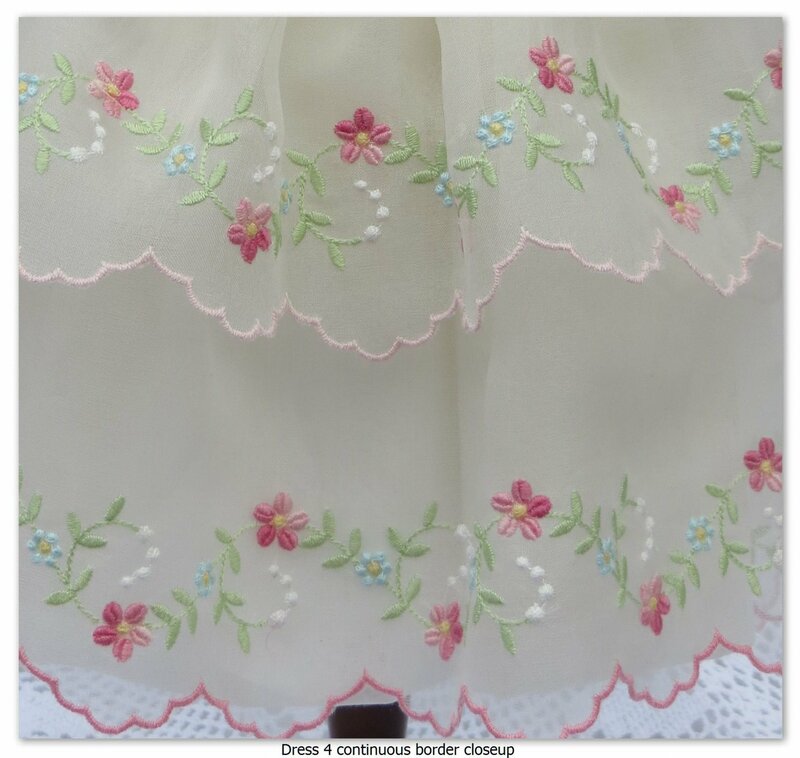 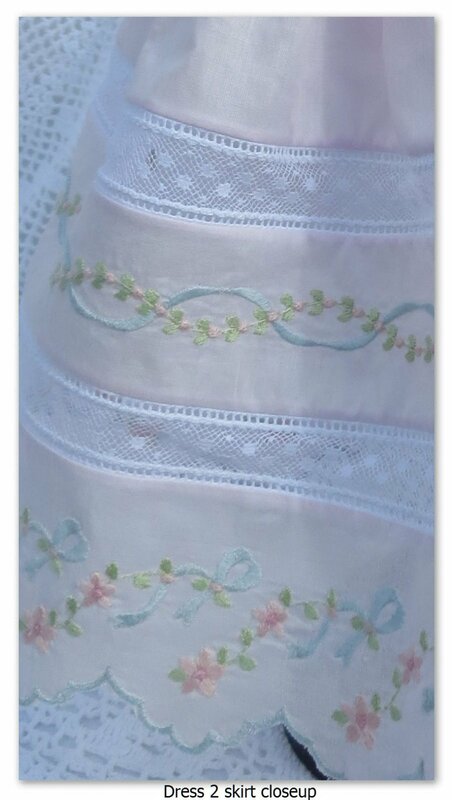 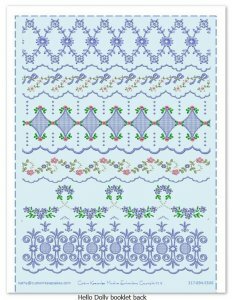 These designs can be used for any kind of delicate project, in addition to the doll dresses! 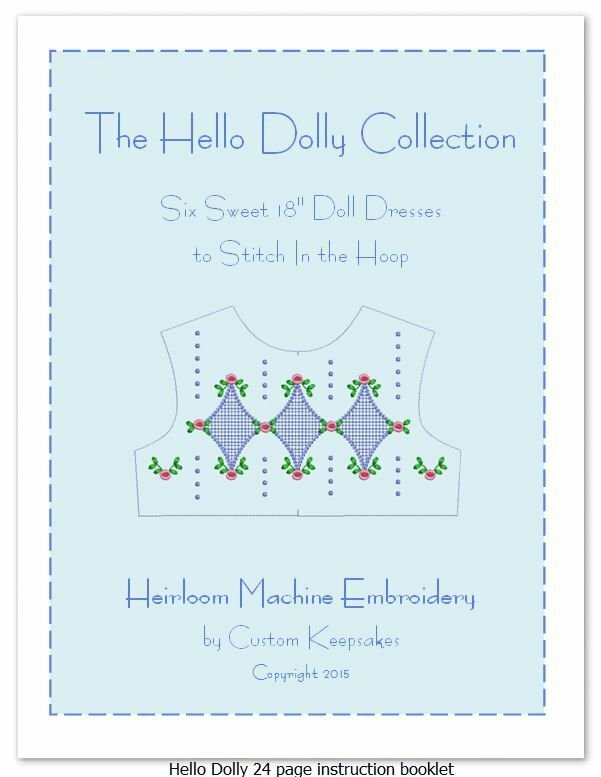 All designs come in 9 formats and may be stitched in a 5" x 7" hoop! 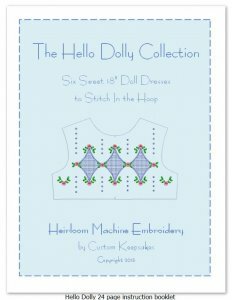 For specific information see the Design Catalog and the Hello Dolly page!